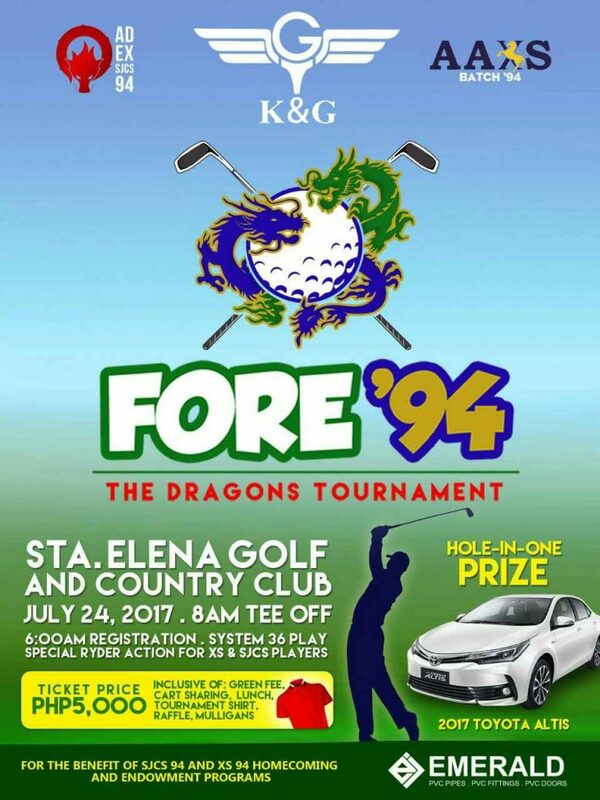 St. Jude Catholic School batch ’94 and Xavier School batch ’94 together with K&G Golf Apparel, are jointly organizing a fun and exciting golf tournament on July 24, 2017 (Monday), dubbed “FORE’94 The Dragons Tournament”. As the ’94 batch have graduates mostly with the auspicious Dragon as their Chinese zodiac, this “Dragons” tourney is definitely a tournament to join as exciting golf play awaits! To date, the organizers have gone all out for hole-in-one prizes! The Makiling course of the prestigious Sta. 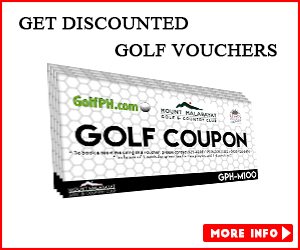 Elena Golf & Country Club will have bases loaded, as FORE’94 arranged with Toyota Bacoor to provide a brand new 2017 Toyota Altis, Harley-Davidson to provide a brand new Street XG500 racer, and Autohub Group to provide a brand new Vespa S scooter and a Piaggio apé to challenge the players! Exciting raffle prizes await all players as well after the games! 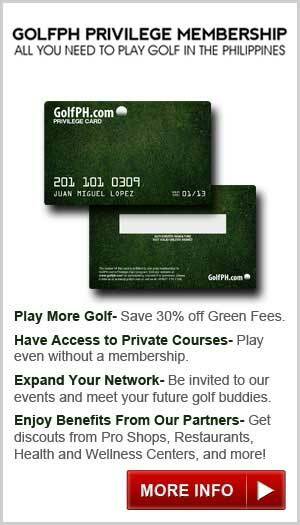 Price: P5,000 which includes green fee, caddie fee, golf cart, lunch, tournament shirt, giveaways, raffles and free whisky and lechon. There will be heated Ryder Cup action between Xavier and St. Jude players, but the tournament is open to all divisions and is charging Php 5,000 inclusive of tournament shirt from K&G, green fee, caddy fee, cart sharing & mulligans! What a bargain! A sumptuous lunch with Lydia’s Lechon Cebu follows after the game, as awards and raffles are drawn, to be hosted by the dazzling Kim Sarreal, Miss Earth Philippines 2015. This tournament was organized for the benefit of St. Jude Catholic School and Xavier School batch 94 Silver Jubilee Homecoming, and their scholarship fund and teachers’ endowment fund. 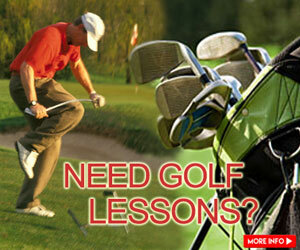 For details, you may call the tournament chairman Jonas at 0918-8356627. See You Guys There!